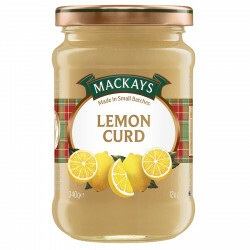 The perfect baking mix to bake the famous traditional pancakes. 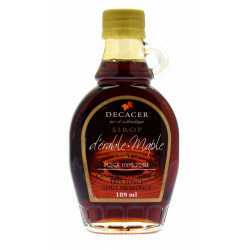 Bake delicious pancakes with this perfect pancake mix and treat your friends and family to a perfect English breakfast. Pancakes are traditionally served for breakfast or brunch in Ireland and North America. They are often topped with a maple syrup drizzle. Odlums has been producing flour in Ireland for more than 160 years. The company was created by the Odlum family in 1845 when they opened their first mill in Portlaoise. The Odlums flour has been used in Irish homes for generations. Today, Odlums strives for innovation and the brand continues to provide Irish consumers with a wide range of flours and mixes of the highest quality. The Odlums range includes more than 120 different products. 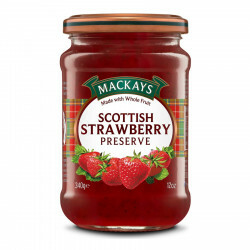 Indulge in Scottish strawberry sweetness... A true delight! Ingredients: wheat flour, raising agents (sodium bicarbonate, acid calcium phosphate, acid sodium pyrophosphate), salt. For best before see back of pack. All you need is: 250g Odlums Perfect pancake flour, 2 eggs, 575ml milk (approx). 1. Empty approx half the contens of the pack into the bowl. 2. Make a well in the centre and add the eggs. Beat in 575ml of cold milk until the mixture is smooth. Allow to stand for 10 minutes approx. 3. Lightly grease or oil a frying pan and heat until sizzling hot. 4. Whisk batter again and pour a thin coating of batter on base of frying pan. Fry until golden. Turn or toss and brown the second side. 5. Add a little more fat or oil before frying the next pancake. Use all batter - best used when fresh. Indulgent treat: drizzle with maple syrup, fold pancake over and fold again to form a triangle.